I can’t believe summer is already over!!! 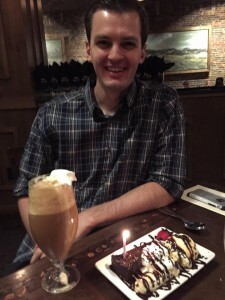 We flew home and landed about 1am of Ben’s 30th birthday – July 7th! 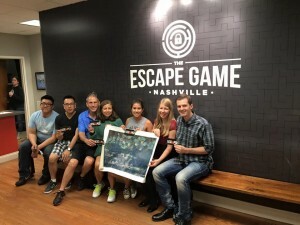 After sleeping in, we went to dinner at a Brazilian steak house and then went to the “Heist” Escape Game, where we had an hour to figure out lots of clues, find a “stolen” painting and escape the room. It was pretty cool! Then that Saturday we went to a TreeTop Obstacle Course; it took me a sec to get over my fear of heights, but I made it through the first 2 and Ben did all 4, then we did the really long zip lines which were fun (see pics here)! Then in August I had a 2 week “Math Camp,” I was a little nervous to start the PhD (doing an economics PhD at Vanderbilt) but was excited to finally see people and make friends (since moving to Nashville, I’d just been studying math, and hanging out at the pool & with Ben and hadn’t really seen anyone else 8-0)! While I was doing math camp, Ben went to a finance seminar in St Louis for a couple days and then he went to Vienna, Austria to present his paper! He also got to hang out with his brother, who lives in Europe, while he was there. 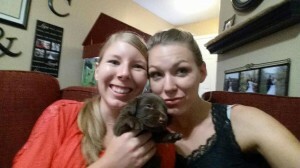 While he was in Vienna, I did a quick 3-day trip to AZ to see my sister’s 3 week old puppies :D! 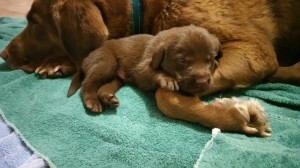 She bred her chocolate lab, who unfortunately had to have an emergency c-section and only 3 of the puppies lived. 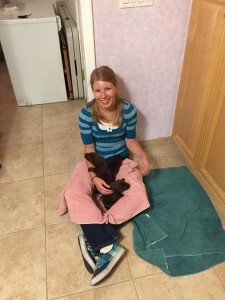 The mom then went into shock due to internal bleeding and was at the vet 3 more days, and due to that and her new heart medicine my sister got to bottle feed the puppies. 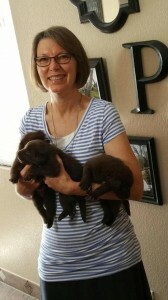 They sure tired her and my mom out with having to eat every 3 hours but they were very cute! It was also fun to see the fam and help my cousin move and see her new house and kids! 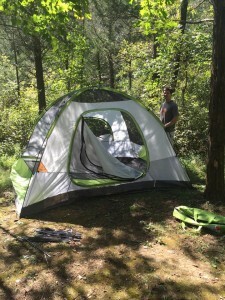 Right after we got back from Vienna & AZ, Ben and I did a night of camping :D! I think we only camped 2-3 times during our 6 yrs in MD, so we are doing pretty good, going already in our first 2 months in TN! While camping we did a 7 mile hike that had tons of sink holes. Then the next day, I started classes on August 26th and Ben is busy doing research and getting ready for the bond market class he is teaching in October (business school does 4 quarters instead of 2 semesters, so he is just teaching the 2nd (Oct-Dec) and 4th (March-May) quarters). Anything else fun? We saw Antman which was great (funny like Guardians of the Galaxy), and I finally saw The Imitation Game which was great (a tear-jerker and based on a true story, kind of like Amazing Grace). We checked out the local library, went hiking at a nearby lake and saw wild turkeys, and are starting to look at houses (or at least neighborhoods)! Hope everyone else had a good summer! 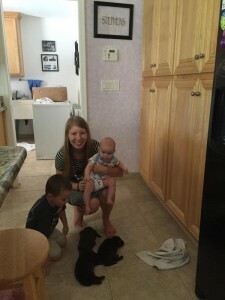 This entry was posted in Adventures of Ben & Teyanna on Aug 27, 2015 by munyans.